Most enterprises nowadays use and depend on some form of Cloud services to keep their business going. 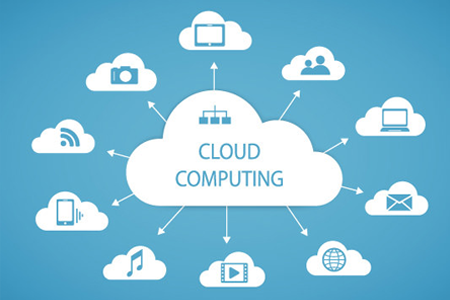 The Cloud services are mostly used for storage, hosting, Software-as-as-a-service based applications (SaaS), or Infrastructure-as-a-Service (IaaS), or Platform as a Service (Paas). The Cloud is a part of Managed Services IT. According to Forrester, they predicted that more than 50% of global enterprises will rely on at least one public cloud platform, and the number doesn’t include the percentage of businesses that utilize private and hybrid Cloud services. The increase in companies outsourcing their IT support and demands provides efficient change. Managed Service IT can accomplish plenty of tasks given and agreed with the client. As per the recent study shows that 82% of U.S. employers believe smart technologies allow recruiters to focus on more interpersonal and knowledge-based work. That is a huge number of employers who are now open to innovation aside from the conventional Human Resources interaction. If your organization has already made a change and chose Cloud and IT Support services, it is important that you take an interest in how your Managed Services IT provider manages several facets of their business. There are also chances that your Managed Services IT provider only knowledgeable on a specific field. Do You know the Role of each Managed Service IT? For any IT environment, there are many moving parts such as storage, networking, backups, security, virtualization, hardware procurement, application delivery and many more. It is important that you have a connection with the team that built and developed your systems and not just the team that maintains it. It is an ideal situation for both parties as it increases trust and cooperation to promote even resilient partnership in Managed Services IT. This step assures an added layer of comfort while also making sure that you don’t waste time with the wrong team or department. At least, make an effort to learn the roles of the team members in cloud upgrades security, support, procurement and licensing, finance, and marketing. Does Your Managed Services IT Provider have Training and Education Plans? Keep this in mind. When you start collaborating with a Managed Service IT provider, they are expected to give you a list of all individual certifications and accreditations that their employees hold. Certifications are proof that the Managed Services IT provider commits to education and industry trends. A continuous employee education is valuable to every business as it upgrades their company and service value. Managed Services IT ensures you that they are staying in front of industry trends and constantly evaluating new technologies that could eventually support your technology and business goals. Moreover, most industry certifications are not that easy to achieve and maintain as they often include exams, studying, lengthy applications, and ongoing training to maintain. They are also very expensive to obtain. You may view this as a valuable investment in their work value. Companies that have a documented plan and resources set aside for the time commitment and added cost show a strong dedication towards employee education. You can be assured that you won’t be left behind with the fast-paced changes in the field of technology. At least one person on their team should be able to talk professionally and be able to talk about computer technicalities in a way that makes sense to you as a businessperson. Every work, including your business, has its own language. Someone needs to understand and adjust what does an MSP mean when you can’t communicate well with each other. They must be very serious about back-up and disaster recovery. This is the very reason why you are asking for a professional help. They should have a standard contract that you can review prior to signing. This allows you to know the prices and limitations of the business partnership. Every person has the right to know the scope and limitations of their contract. A Managed Service IT provider should be able to do their job and also provide a progressive service. An MSP should be able to render the expertise you are asking for. If you are curious, check out ThinkIT Solutions. We are a full-service Information Technology management firm. In ThinkIT Solutions, the cloud allows you and your business the accessibility to data and software to run your business anytime, anywhere. Since 2001, ThinkIT has provided information technology services nationwide. We are passionate to help businesses of every size, in all industries, deserve IT services of the highest quality. We work 24/7 to assure the safety of our clients. We are happy to have you as our client whenever they need us. Experience the ease of collaborative works with ThinkIT Solutions. Call us today for more information!